504... Future scientists have been able to creat 504 alternate Earths. 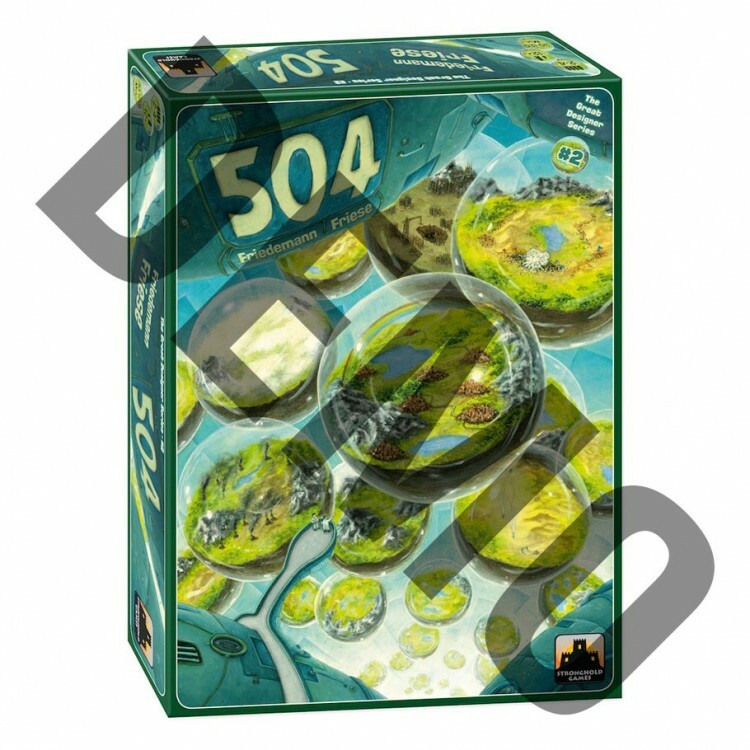 They gave each World a set of values the residents consider most important... 504 is a game with 504 different games in one box. It consists of 9 modules from which players choose 3 modules from the 'Book of Worlds' to play a game (9x8x7 = 504 games). Each World is unique, and can geature roads, exploring, production, majorities, deliveries, economics, military, etc. 504 is #2 in the new Stronghold Games' The Great Designers Series. This game is designed by Friedemann Friese.